Century Medical & Dental Center is a multidisciplinary medical centers and a team of highly qualified doctors, nurses and support staff makes every effort to provide medical services at the highest level. 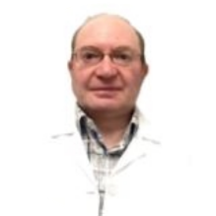 Dr.Smuglin is Medicine Board Diplomate of the American Board of Internal Certified Disability Analyst and Fellow. New York state Licensed Physician Certified in Biofeedback Technique, Pain Management and joint Injections. Dr. Smuglin has a very pleasant personality. The office, however, is extremely unorganized. Spent too much time there because the front office is not on top of things. I also had to leave without all the information I was looking for.